The wildly popular Disney Junior Dance Party! at Disney California Adventure® Park welcomes Vampirina to the stage! 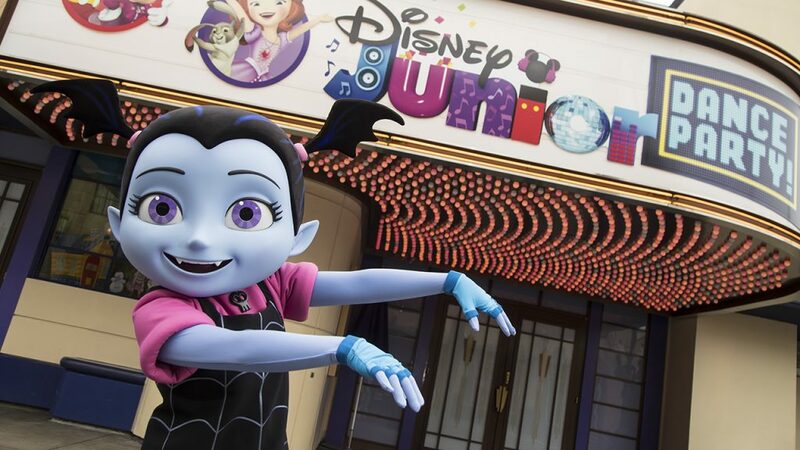 This live show features music and characters from beloved Disney Junior TV shows—through high-energy songs, dazzling special effects and beloved characters. Join the fun and sing along at Disney Junior Dance Party!